The time is FINALLY arriving! Our dream of installing the Astronomical Telescope for Educational Outreach (ATEO) is soon to become a reality. The plan is set for delivery of the ATEO and all of its imaging equipment the week of May 20, 2107. Insight Observatory co-founder Muir Evenden and I will be taking a 3-day road trip to Pie Town, New Mexico, where we will be installing and testing the 16" astrograph imaging telescope at its hosting facility, SkyPi Online Observatories. The telescope pier is ready for the deep-sky imaging system to be mounted on in SkyPi's Gamma Pod. The pier where the ATEO will installed on the week of May 20th, 2017. The image was taken by webcam located in the Gamma Pod. 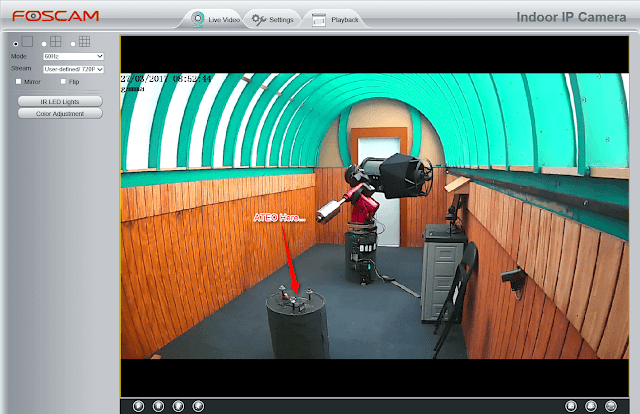 The observatory structure is designed to house two telescope setups as pictured above. At the time ATEO is installed we will have a neighbor from Arkansas who will also be imaging with a 12.5" Newtonian astrograph. John Evelan, managing member of SkyPi Remote Observatories quoted "I'm personally excited to see the 2 together in that pod as they will be our first "Newts". The trip is mapped out to take us on a 12-hour journey on day 1 just over the Indiana border with day 2 taking another 12-hour excursion just past Oklahoma City. The road trip will then commence on day 3 with a 10-hour drive taking us to our final destination of Pie Town, New Mexico. Our goal is to arrive by mid-afternoon on Monday, May 22th, 2017. 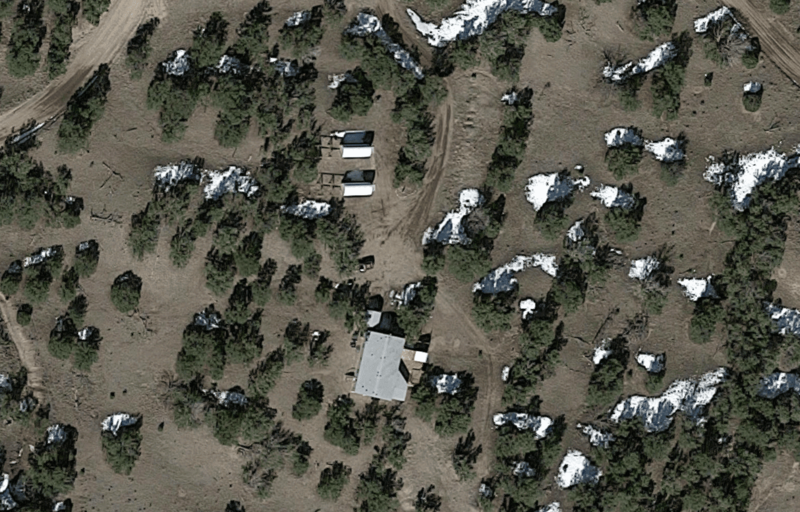 Muir and I will be staying on the observatory grounds for 5 days to install, configure and test the ATEO. We will be assisted by the staff at SkyPi to get the telescope online. We will then return the moving truck to Albuquerque, New Mexico and fly home to Boston, MA on the 28th of May. Image captured from Google Earth. We are very excited to see our plan go into action after having this vision 6 years ago when Insight Observatory was founded. Muir and I plan on documenting the trip and the progress of the ATEO installation on this blog throughout the week of May 20th.